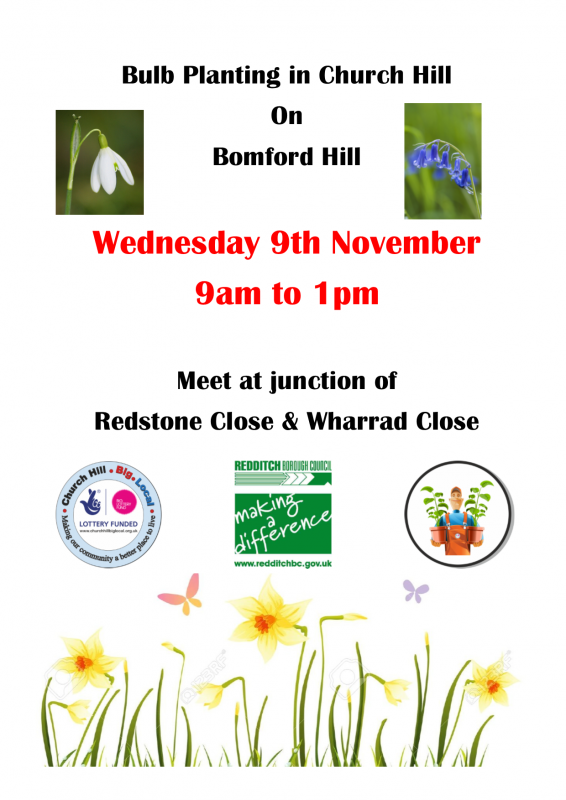 Come and join us and Redditch Borough Council in helping brighten up the area we live in by planting thousands of bulbs around Church Hill. Please wear suitable clothing as will be damp underfoot. You can let us know you are coming by joining the Facebook event here.